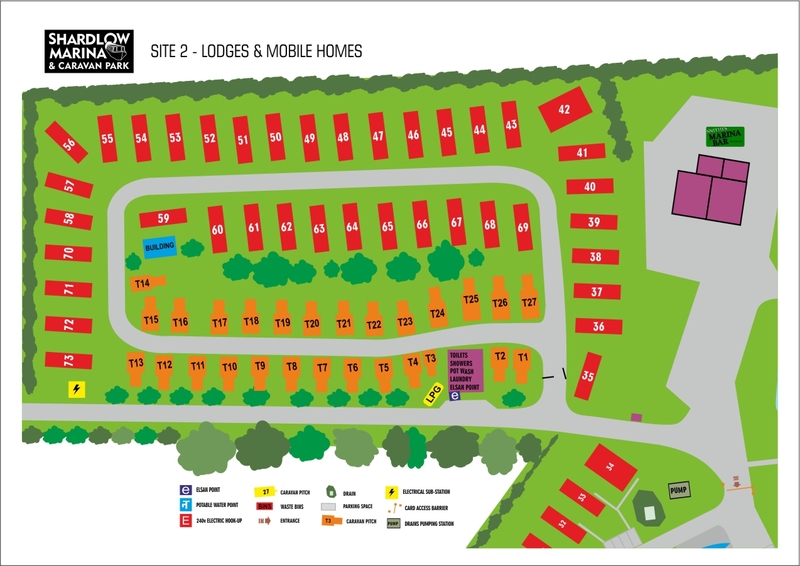 Our Holiday Home Park accommodates over 70 homes and has a wide range of home styles spread over two separate sites. 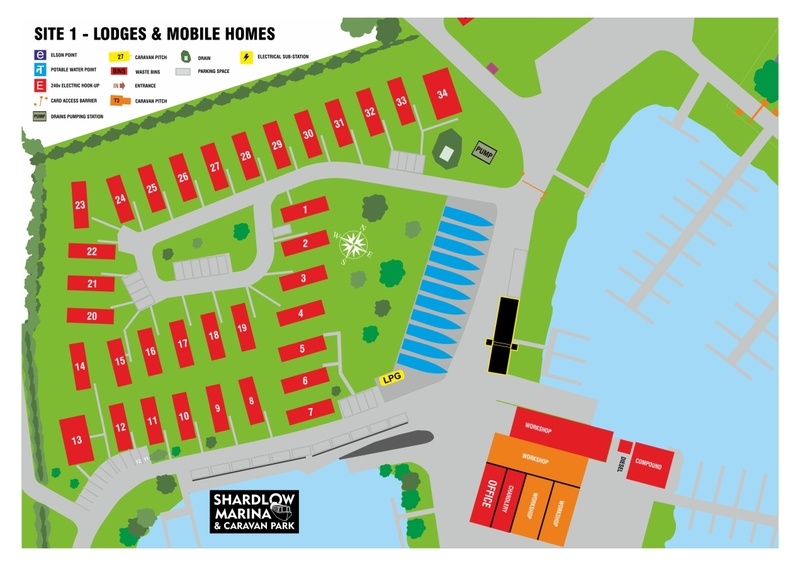 Site 1 has homes overlooking the marina, some with lovely waterside views, Site 2 is situated near the entrance to the Marina Site and offers a private road in a quiet gated area. This site is shared with long stay Tourers and has a Toilet and Shower Block with Launderettte and Elsan facilities. The park is extremely popular for Holiday Home owners and there is often a waiting list for available plots. When we do get empty plots available we advertise them on this site but they are generally quick to get snapped up! We are open for 48 weeks of the year and close the site for the whole of February each year. You are permitted to visit and check on the security of your Holiday Home during this time but it is not possible to spend any time in it. The closed period is from midnight on 31st January through to midnight on 28th February. There is 24 hour CCTV on the site and regular security patrols during the closed period. With lots of things to do and places to go in the area, it's easy to see why people love to own a holiday home on our park. Park Home? Luxury Lodge? or Static Caravan? - What's the difference? Over the years the build quality of Holiday Park Homes has improved considerably and so what used to be called a Static Caravan to cover everything has changed and there is a distinct diffrence between them nowadays. Static Caravans are the cheapest to buy and are generally built to BS EN 1647 which covers Leisure Accomodation Vehicles. Their insulation is of a minimum but not for full winterised living. Park Homes and Leisure Lodges on the other hand are both built to BS 3632 which is for Full Residential use! The insulative qualities of these is very good and quite comparable to a normal house really. The difference between a Park Home and Lodge is just the outer finish, Park Homes having a "Stucco" finish and Lodges having a "Timber-Look" finish. A popular material used in Lodges is Canexel (TM) which is manufactured from a compressed wood fibre bonded with polymers and fire retardent chemicals and pre-coated with a plasticised paint finish, it has excellent thermal properties, requires little maintainance and looks good too. It is available in a range of colours. From time to time people sell their holiday home and a plot becomes available. You need to speak to a member of staff in the office, informing them of your interest. They will put your name on the waiting list and if the people before you are not interested in the position of the plot you will be informed that a plot is available. Some people will wait years for their right plot to become available! If the plot does not suit you it will then be advertised on our website. A deposit will be required to hold the plot for 3 months whilst you find a new Holiday Home from one of the many manufacturers - See our HOME SUPPLIERS page for links and contact details. We deal with all of the top manufacturers and we will then give you a quotation to buy your chosen Home including delivery and siting of it. You will also be informed of the tenure available on your particular home. This ranges from 15 to 20 years dependant upon the quality of the unit. Once you have agreed to buy a home you will need to put down another deposit of generally 10% of the purchase price of the actual unit. Once the unit has been delivered and had all services connected up you will be sent the final invoice to pay before the home is handed over.